Red is the color of blood, associated with a myriad of human emotions including passion, power, strength and desire. It’s an intense color encompassing emotional extremes spanning love and anger. 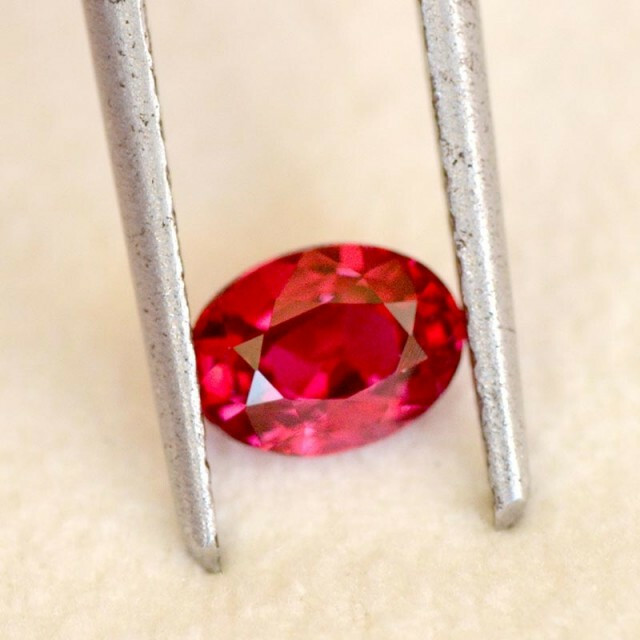 The Ruby, also called Manik, is a traditional gemstone that is part of the corundum family. Rubies are iconic and known for their signature blood-red hue. In fact, the word ruby is Latin for red. 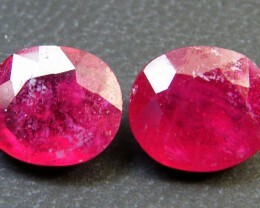 Ruby is part of the corundum family which also includes Sapphire. 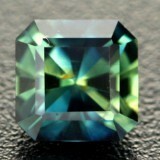 It is the birthstone for July and holds the highest price per-carat of all the colored gemstones. It’s easy to see why rubies are in high-demand. This iconic and powerful stone dons an intensity unique from other gemstones. Rubies are bright, durable and retain a hardness and luster that make them highly desirable. In fact, rubies are the hardest mineral next to the beloved diamond. Rubies are technically a red sapphire identical to the sapphire gemstone in all aspects excluding their stand-out signature red color. You won’t come across a stone as uniquely red as the ruby. 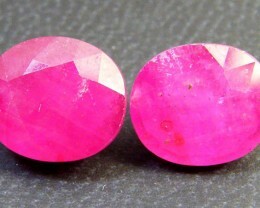 These stunning gems get their distinctive red color from a natural process including atoms and light. 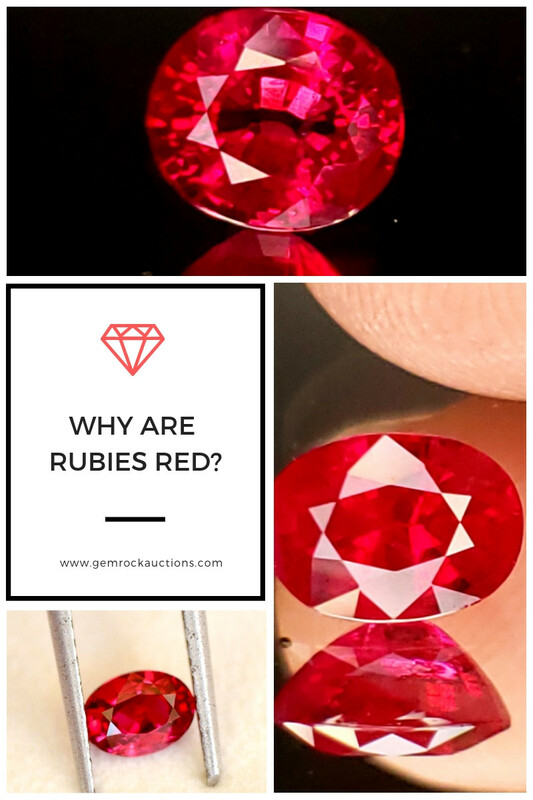 So, why are rubies red? The brightest colored red rubies are the most valuable and treasured. Yet the question remains: how do rubies get their distinctive red color? Are rubies naturally red? Are they died to get that stunning color? Let’s break it down. Rubies are related to a very hard and abrasive mineral called corundum. However, corundum on its own is completely colorless. There’s really nothing special or noteworthy about this mineral alone, however what happens when the aluminum in corundum is replaced with chromium? 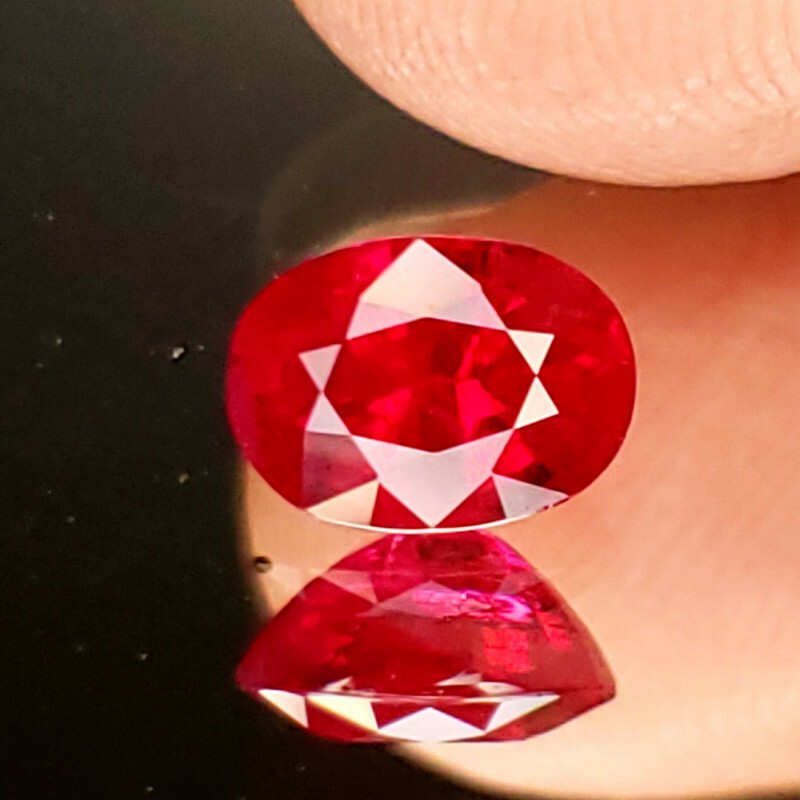 Magic in the form of a breathtaking, red jewel called the ruby. See, pure corundum is a mineral consisting of oxygen and aluminum. Nature’s remarkable trick is that small traces of the metallic element chromium replace the aluminum. How does this happen? The chromium atoms in rubies absorb light wavelengths. When they reflect light in the visible light spectrum it appears as a different color. Which color, you ask? None other than red. 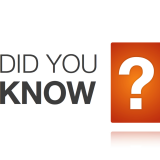 More specifically, the electrons in pure corundum are all paired, generating no light absorption. However, about one percent of the atoms are chromium, which are negatively charged ions of oxygen that absorb some light wavelengths and as a result, emit color. Voila! 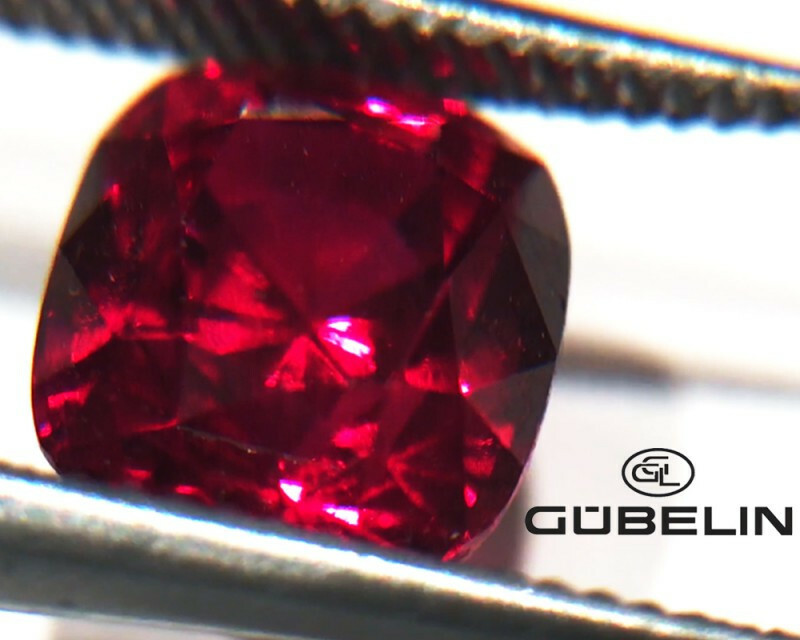 This is how rubies get their gorgeous red color. Thanks to a few shifts in atoms, a colorless mineral becomes a treasured blood-red jewel. In short, rubies are red because of the presence of the mineral chromium in corundum. 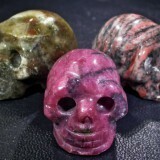 That said, this process isn’t identical in each stone, therefore not all rubies are blood-red. When we think about rubies, we immediately recognize the deep blood-red color that makes rubies so desired. 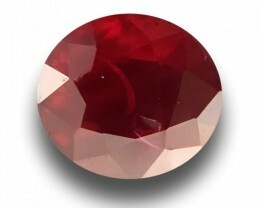 However, ruby colors range from lighter, bright red to deep, reddish-brown. Even the most sought after blood-red rubies have a blue hue to them and are called “Pigeon’s Blood Ruby” or “Burmese Ruby.” Some rubies are even light pink and are called pink sapphire. 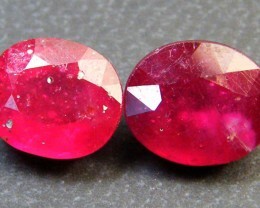 As you can see, rubies are available in a variety of shades of red. Ultimately, the blood-red colored rubies are the most cherished. Initially, Burmese Rubies came from Myanmar, formerly Burma. These rubies are large and flawless, with the signature blood-red color that’s desired in the gemstone market. However, rubies also come from Thailand, though their hue is less desired compared to Burmese rubies. That said, rubies that are less desired typically have a brownish coloring and are heat-treated to enhance the red color and transparency. Rubies can also come from Asian and African countries including Cambodia, Sri Lanka, Pakistan and Tanzania. There are even rubies from the U.S. found in North Carolina, South Carolina, Montana and Wyoming. 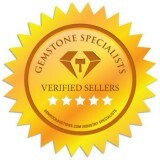 The ruby gemstone is a desired and beloved jewel. 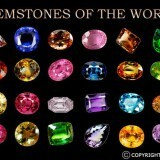 Rubies are popularly used in all forms of jewelry including earrings, necklaces, bracelets, rings, brooches and pendants. 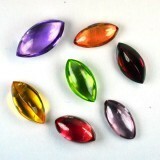 Rubies place well in a variety of styles. 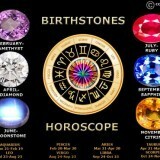 They command attention as a focal centerpiece in rings and pendants, and also accompany other stones beautifully. Often, rubies are used as a secondary stone alongside a diamond centerpiece. The most transparent and clear rubies, known as star rubies, are commonly used in rings. 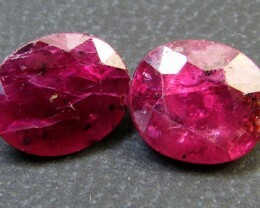 Large rubies are highly valuable and rare. Rubies make lovely statement pieces, however they can also be incorporated with other gemstones and materials to create a dynamic, eye-catching piece. When browsing jewelry you’ll find pieces combining ruby with citrine, pearl, amethyst, or paired with diamonds to create brilliant ruby engagement rings. Rubies are popularly used as special occasion rings. In fact, the ruby shines as a unique and creative interpretation of the classic diamond engagement ring. Jewelers and designers pair rubies with diamonds to create stunning and unique engagement rings. A popular ruby engagement ring features a ruby center stone surrounded by a gorgeous halo of diamonds. Like diamonds, rubies are cut in variety of beautiful shapes including oval, pear, square, emerald, princess, asscher, heart and cushion. A current engagement ring trend is to pair rubies and diamonds with a rose gold band. Silver banded ruby engagement rings create a timeless, vintage look. Gold band ruby engagement rings blend beautifully with the deep, blood-red hues of the ruby. Ruby rings are an attractive alternative to traditional diamond engagement rings. Contrary to popular belief, high-quality rubies are still an expensive stone and highly desired, placing them in a pricepoint comparable to diamond engagement rings. 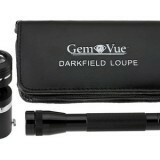 The price depends entirely on the quality of the gemstone, the carateage and the pairing. However, the price of rubies has skyrocketed over the years and has at times even been more valuable than diamonds. Bottom line, rubies are a stunning and unique stone that’ll never go out of style. Whether you’re looking for a ruby engagement ring, pendant or earrings, we’ve got you covered with our gorgeous collection of ruby jewels!